Division 295 meetings are held on the second Wednesday of each month at the Royal Canadian Legion Branch 614. Stay informed! 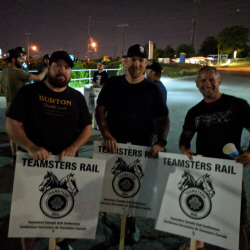 Get the latest updates from the Teamsters Canada Rail Conference, your eastern General Committee of Adjustments & Division 295.